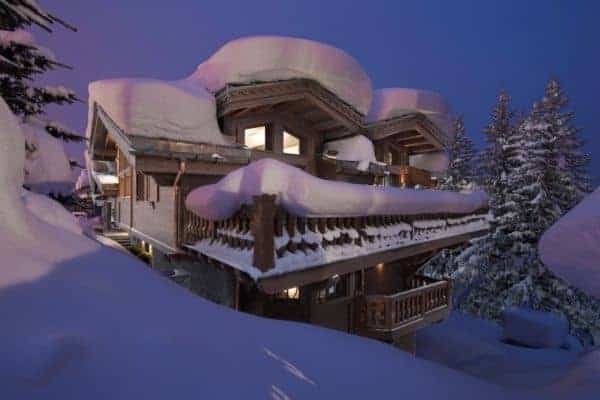 Many a wishful thought for the perfect ski holiday include a luxurious chalet built into the mountainside, by a piste and the added bonus of being able to ski straight out of and return directly to. 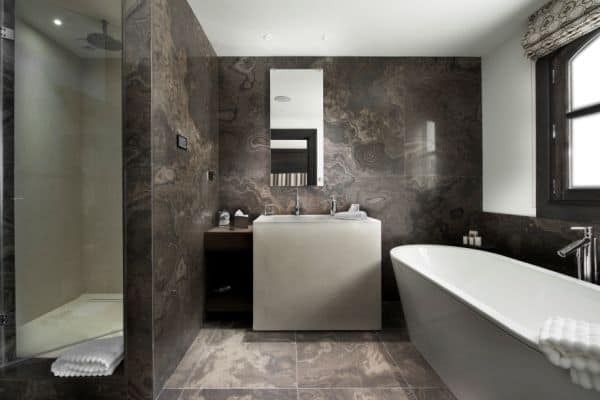 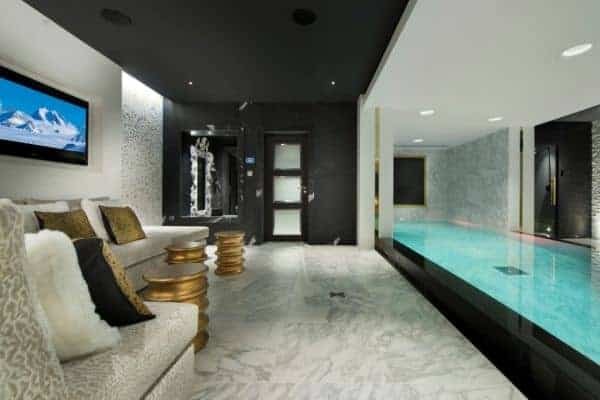 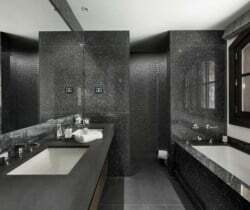 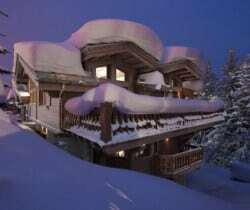 Well, this five-star luxury property in the exclusive Nogentil area of Courchevel boasting splendid scenic views provides an emphatic response. 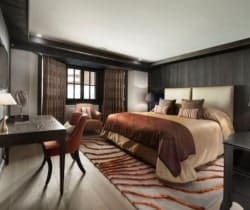 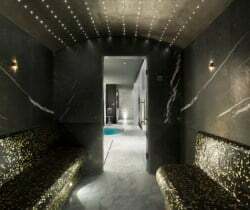 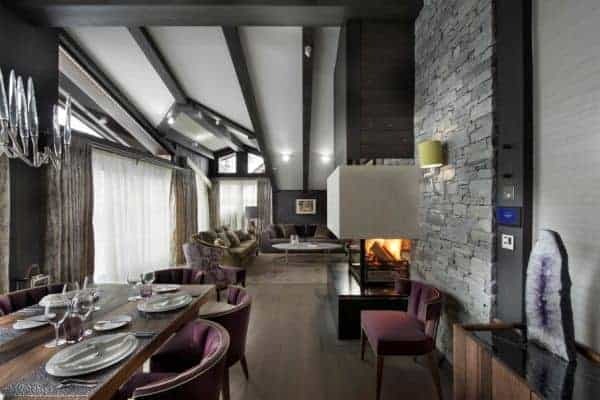 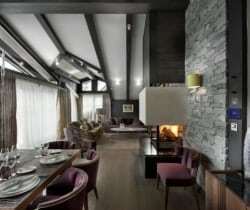 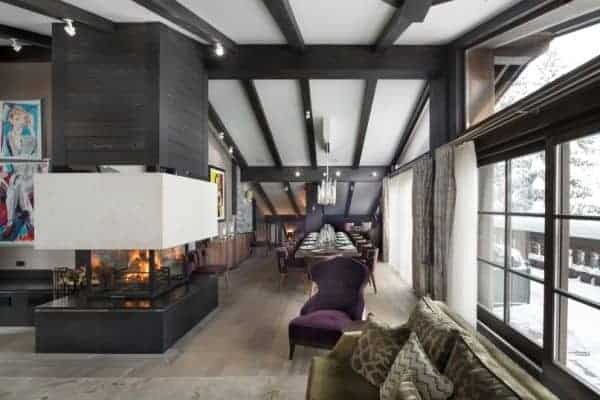 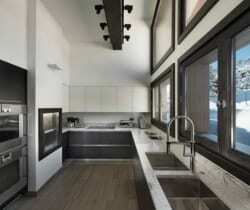 Situated in the highest and a most fashionable area of the resort – Courchevel 1850 – the luxury chalet has a traditional wooden exterior and an interior that boasts ultra-modern sophistication. 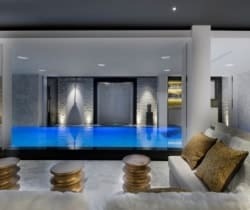 Prestigious designers have created a ‘snow-inspired’ colour palette of and produced a décor with a captivating combination of soft luxury fabrics and classy, bespoke furniture blending seamlessly with textured stones, mosaics and vividly colourful ceramics. 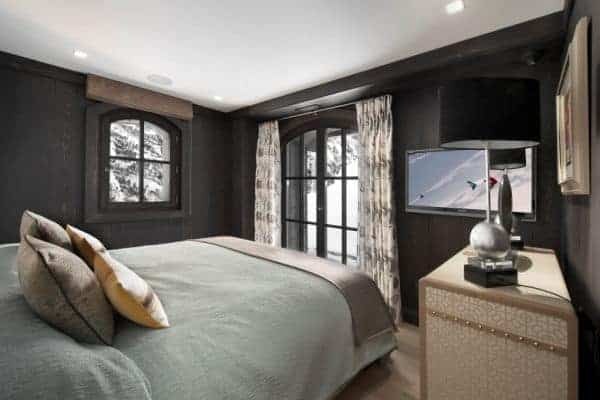 Also of the very highest standard and underlining the finesse of this lovely chalet is a high-tech audio-visual system and a stunning basement spa area with a 10m-long pool, steam room, Jacuzzi and massage room; a restful sanctuary perfect for re-energizing both mind and body after a day out on the slopes. 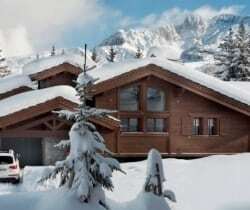 This very spacious chalet is distributed over 6 levels and can sleep up to 12 guests in 6 extremely comfortable bedrooms en suite; four bathrooms with a free-standing bath and walk-in shower, and two with shower only. 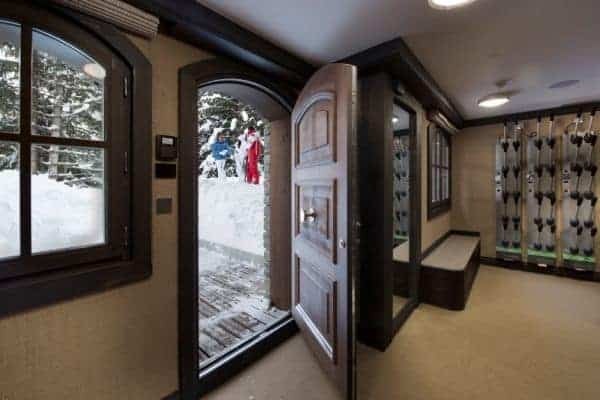 There is lift access from the indoor parking area to the bedrooms, one of which is on the next level up (along with ski room and well-stocked wine cellar) and another three bedroom are on the level above. 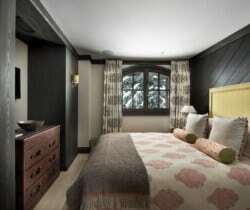 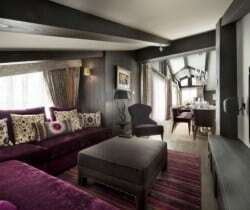 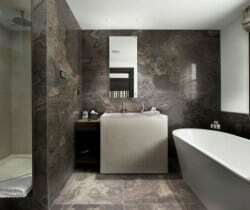 The sumptuous master suite and another double bedroom is up a level, on the ‘ground floor’ and has a private balcony. 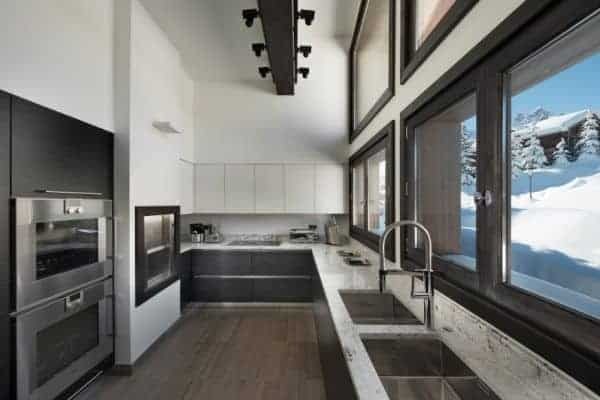 The first floor in its entirety is given over to the open-plan living and dining area, where everyone can gather to relax and rest around open fireplace. 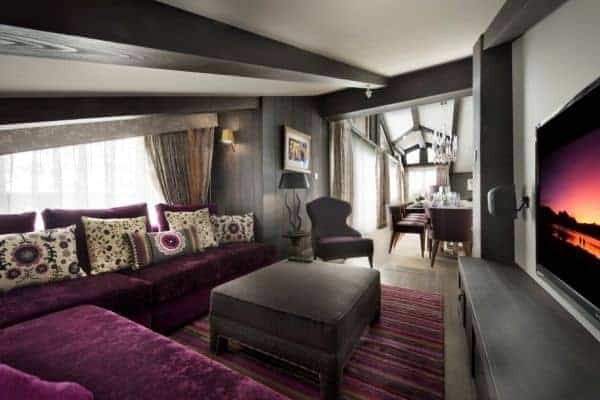 Lined by large windows and a terrace with a furnished chill-out area, here everyone will be able to enjoy indulgent views of the magnificent surrounding scenery. 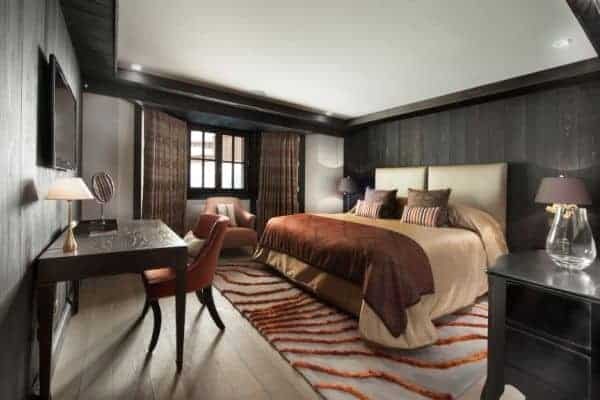 This is a luxurious chalet available to the most discerning of guests wishing to experience absolute excellence in quality of comfort and service in this prestigious resort in the French Alps. 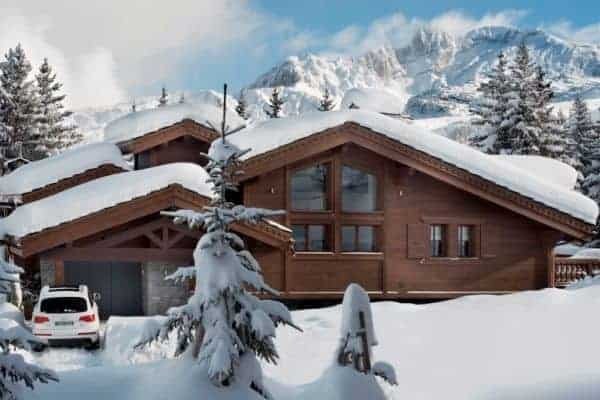 With private chef and butler services included, this spectacular chalet can be a most suitable option; ranging from families, groups of couples or friends and even corporate clients.